Times have changed. Back in the 60's and 70's parents looked to military schools as the place to send a defiant teen that needed help to change his life. In the past decade, our country's military has become much more selective as to whom they will or will not accept. This trend has become even more apparent in private military schools. 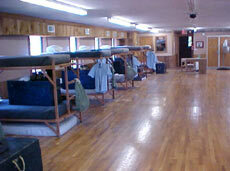 In most cases a defiant teen will have a very difficult time making it into and staying in any military school. Prior academic history and curriculum is required for approval to attend. All applicants must be examined on an individual basis. Student must be cooperative and motivated to be there. The type of student that attends a military school is one that wants to succeed not only in school, but also from a moral perspective as well as on the athletic field. An on-campus interview is required of all applicants. Student must be physically fit, emotionally strong and capable of meeting the demands of a tough college prep program. 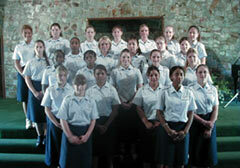 What we offer is an effective alternative to the typical military academy. Parent Help works with several boarding and privately owned schools that can give your teen the military style structure, behavior modification programs, physical fitness challenge and overall help that he or she needs to become successful in life. These programs are very effective and are an excellent choice for a troubled teen.